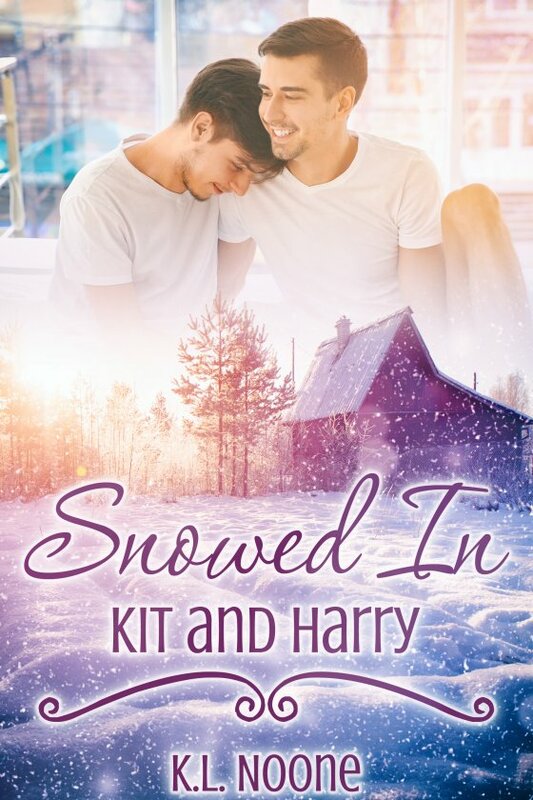 Snowed In: Kit and Harry by K.L. Noone is now available! Someone — or something — is causing magical blizzards at Fairleigh Hall. The estate is suffering, and the Earl has requested assistance. Constable Kit Thompson, of Bow Street’s Preternatural Division, isn’t especially thrilled to be sent out to the country. At least the assignment gets him away from fashionable London society and his own unwanted celebrity after successfully solving a notorious case. Of course, he’s now trapped at a country estate due to closed roads, snowstorms, and magic, but Kit’s always liked solving puzzles. He’s good at using empathic skills for investigations, and this is definitely a challenge. Besides, the Earl’s younger brother is an irritating and delicious temptation, all blue eyes and muscles and boundless enthusiastic optimism. Kit wants to either shake sense into him or kiss him senseless — and can’t trust him, either, because if someone’s genuinely sabotaging the weather, everyone’s a suspect. Harry Arden, younger brother of the Earl of Fairleigh, has never met a Preternatural Division constable before, much less a famous and celebrated one. He wants to help. And he wants to make that attractive but cynical constable smile, at least once. But the estate hides a family secret, and Harry knows perfectly well Kit doesn’t trust him … and for good reason. Still, Harry offers to do what he can to assist with the investigation, and if that means spending more time with Kit, that’s a bonus. When Harry and Kit end up caught by those magical storms, snowed in together at the old hunting lodge, they’ll have to trust each other with their secrets … and their hearts.